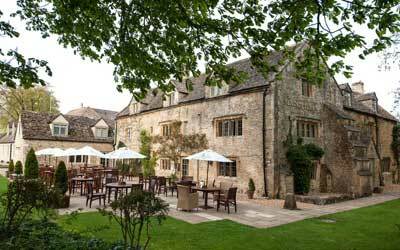 There is a huge selection of traditional inns in Stow-on-the-Wold. The town hosts a wide variety of authentic Cotswold inns offering unique rooms and fantastic food. Many of the inns in Stow retain their traditional charm - browse below to find out more about the inns the town has to offer. 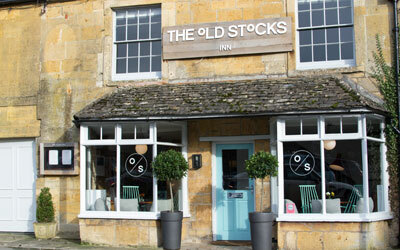 Nestled in the heart of Stow-on-the-Wold, The Old Stocks Inn is a recently refurbished 17th-century coaching inn that really stands out from the crowd. Our boutique hotel is luxurious, but not stuffy. Elegant, but not pretentious. Quaint, but not twee. 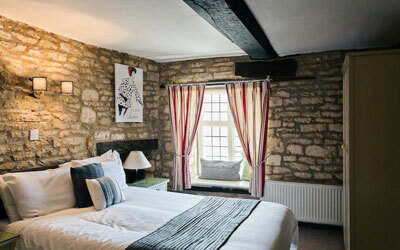 The rooms at the Kings Arms are all stylishly decorated in contemporary Cotswold country style with modern en-suite bathrooms. Each has a TV, hairdryer and tea and coffee making facilities. Nestled on the banks of the River Eye, this charming Cotswold stone Inn is located in the heart of the village of Lower Slaughter. The Slaughters Country Inn is privately owned by Andrew and Christina Brownsword and offers a relaxed ambience, a style that is sympathetically balanced between the original features of a 17th Century building and contemporary design. The blend of old and new creates the perfect retreat in a beautiful country location.